Any observant person would have noticed that when Jeff Madsen took the field for the main event, he was wearing Full Tilt gear. 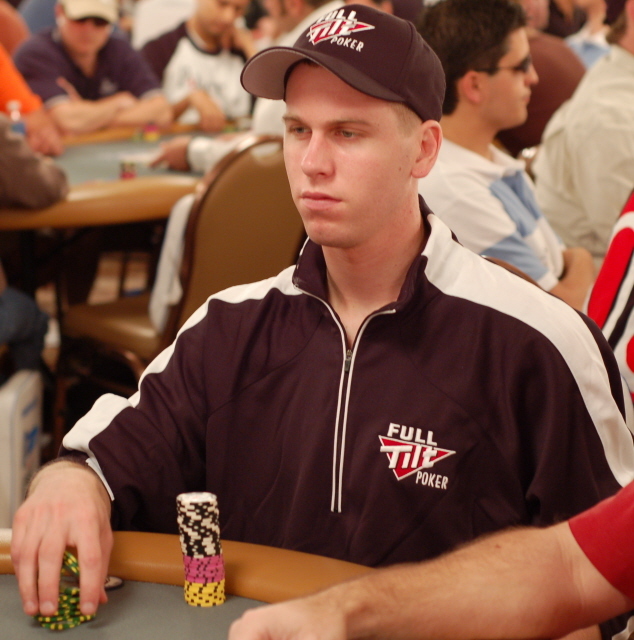 But today it is official; the 21 year old Madsen has signed with Full Tilt Poker. This year, Madsen became the youngest player ever to win a WSOP bracelet - and then came back and won a second bracelet. He had two more final table appearances at this year's WSOP and finished in third place both times. In unique terms and conditions, the Full Tilt deal is predicated on Madsen finishing college. Full Tilt is also putting up the remainder of his college tuition. It seems a good match for Madsen, who's favorite players happen to be Phil Ivey and John Juanda. I had to drop Jeff Madsen, Doyle, and Phil Ivey because they were just way too many points. And in the end I chose Allen Cunningham to be my double up guy. This means that I get double the points for all the great things that Allen does. 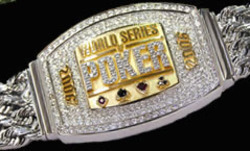 Going into the 2005 WSOP, Phil Hellmuth, Johnny Chan and Doyle Brunson all had nine WSOP bracelets. Last year both Chan and Brunson were able to score their tenth bracelet. If there is anything Phil likes better than Phil, it's being first. And Hellmuth's agenda, from day one of the 2006 WSOP, was to reclaim (even if shared) top spot in the WSOP bracelet race. Last night, Phil Hellmuth won his 10th bracelet in the $1000 rebuy event. Last night's bracelet winning performance was the 6th cash for Hellmuth in the 2006 WSOP so far. He just missed a bracelet earlier in the series when he came in second in the $5K NLHE event. 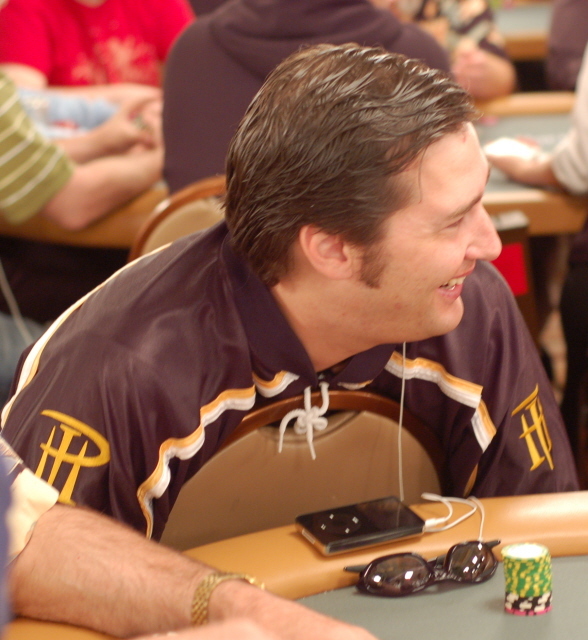 Before last night's final table, Hellmuth had to like his chances. He started the final table as the chip leader, holding about a third of the chips in play. But when it got down to heads-up play, Juha Helppi had close to a 2-to-1 chip advantage over Hellmuth. Hellmuth was able to pull to even when he got all his money in pre-flop with presto (pocket fives) against Helppi's Ah6d. Helmuth flopped a set, only to see Helppi turn a flush. The river paired the board giving Hellmuth the boat and the ammunition to fight on. Hellmuth crippled Helppi when his KK held up against Helppi's AT. And Hellmuth's AJ prevailed over Helppi's A9 to finish the match off. Hellmuth doesn't strike me as a person who normally likes to share, but he seemed quite pleased to be back in the company of Johnny Chan and Doyle Brunson. 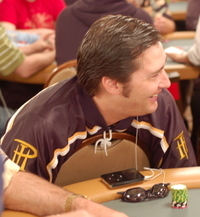 The back of his UB jersey said Poker Brat, but Phil Hellmuth was nothing but gracious as he lost to Jeff Cabanillas in front of a staggering crowd of friends, fans, and onlookers. Jeff who? People in the audience were talking about this event as Jeff's first tournament, while others started referring to him as The Kid. "This is the best final table ever," said Ian McKenzie from BLUFF. But that was when it was still early. By 10pm the crowd was consumed with their own conversations and wondering when Phil would end this thing. Mike "The Mouth" Matusow came over to the final table stage, shook hands with Phil and took a seat. Phil made sure it was a hug not a handshake, and before we knew it, Mike was at the mic calling the plays. Did we know Mike wanted to be a Tournament Director? No doubt he makes more money playing tournaments. Also in the audience was David Williams, Devil Fish, Marcel (who finished third in the same event). The play seemed to go back and forth, back and forth, with the chips more even than not. But at a quarter to midnight when the ten bracelet holders Doyle Brunson and Johnny Chan came over to shake Phil's hand and cheer him on from the front row, the action heated up. 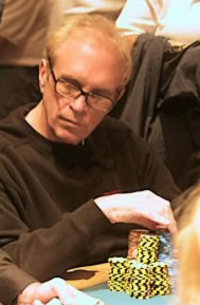 Read all about Dutch Boyd's win on the Poker.com blog. 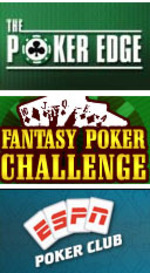 Read all about his hickey on Pokerfolio.com. It was just his day today. You knew he was going to win, at least I did. I could feel it. 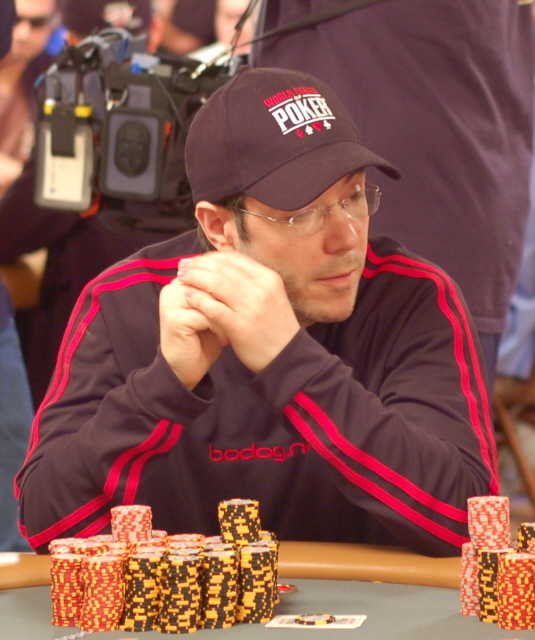 Rafe dominated even after losing a grip on his lead at the final table. Every move he made was with precision and composure. Dressed in a black Tiltboys shirt with the picture of a fish on a hook, a backwards Full Tilt baseball cap, and dark sunglasses, one of the most genuine men in poker looked like an absolute menace. I caught the last part of the final table and sat in Rafe's cheering section behind his girlfriend Laura, sister Alex, and fellow Tiltboys Phil Gordon and Perry Friedman. Andy Bloch was also nearby. We held our breath as Rafe pushed all in again and again to wipe out Rocky Enciso and Eric Lynch. 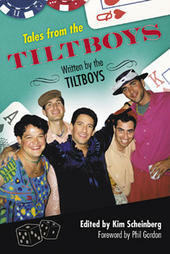 Rafe cashed for $345,984, with Laura and the few Tiltboys at his side. Laura, recently back from traveling through Budapest, Prague, and Croatia with Rafe, told me that throughout the day he kept checking back to make sure she and his friends were doing ok in the stands while he was in the heat. That's Rafe, humble and more concerned about everyone else first. A true gentleman. Best friend Phil Gordon came to the stage to put on Rafe's new shiny golden bracelet on his wrist. I thought for sure there would be some jokes about what it would mean for Rafe to get a WSOP bracelet before Phil, or at least some talk of side bet transactions, but no. Phil was nothing but proud and complimentary of Rafe's well deserved win. "Let's not forget, I get 10%!" Gordon added with a laugh for the media following several sound bytes of praise. I secretly felt it was a little empty without the rest of the Tiltboys there, but Laura and Alex were on the phone immediately, no doubt calling all of them and Rafe's family. Rafe turned over 84 diamonds, Rocky had a flat tire. J4. The river was a 2d. Still calm and composed, Rafe turned to his friends and encouraged a group hug. While they stacked his loot for the money shot, I got a chance to congratulate him and touch the golden bracelet. With the glasses off, and the stern, unwavering determination melted away, a smile spread across his face and he seemed like Rafe again. "You're back," I said, "You looked so mean out there,"
"Well, I had to," Rafe answered, "I couldn't let them think anything else." Congrats, Rafe! You deserve it! Of course Perry thinks that the rest of the Tiltboys on the cover of the book should get their bracelets, too, so that Phil would be the only one without. But of course he would say that. That's right, two Tiltboys now have WSOP bracelets. Read Jay Greenspan's interview with Rafe before the start of today's action. And, by all means, if you haven't read Tales from the Tiltboys, go out and get it right now!